VLADIVOSTOK, September 12. /TASS/. 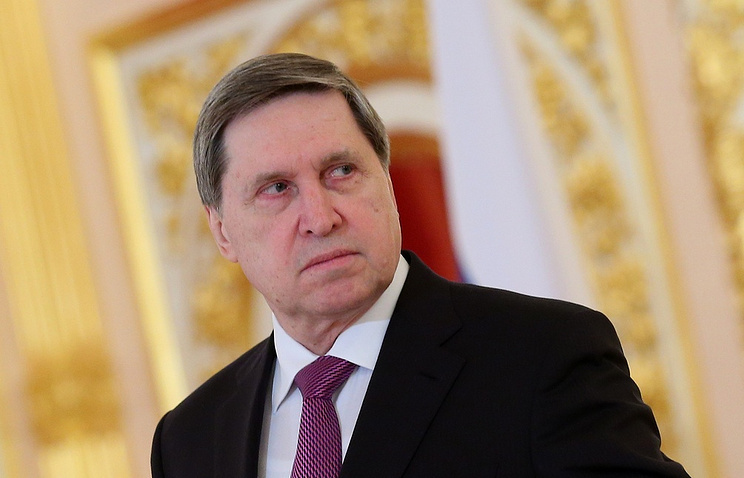 Presidential aide Yuri Ushakov plans to attend the September 14 four-party talks in Istanbul on Syria, the Kremlin official told reporters on the sidelines of the Eastern Economic Forum (EEF) in Vladivostok on Wednesday. "Yes, I’m going to [attend], and a number of experts will go there, too," Ushakov said. The Kremlin aide earlier said that aides to the leaders of Russia, Germany, France and Turkey were planning to discuss the agenda of a possible summit on Syria between these countries, which may take place in Istanbul. He said an event in this format was earlier discussed on several occasions, including during Russian President Vladimir Putin’s contacts with his counterparts from Turkey, Germany and France.